Refreshing drink of hydration for skin in an easy to take along package with spray applicator. Use to set mineral foundations and to refresh the look of makeup all day long. Formulated with D2O (“heavy water”), for a “wetter than water” superior hydration and pentavitin, unique plant-derived carbohydrate complex. Helps to soothe and calm redness and irritability and to refresh the look of makeup. Contains soothing botanical extracts. How do I use Minerale Spritz? 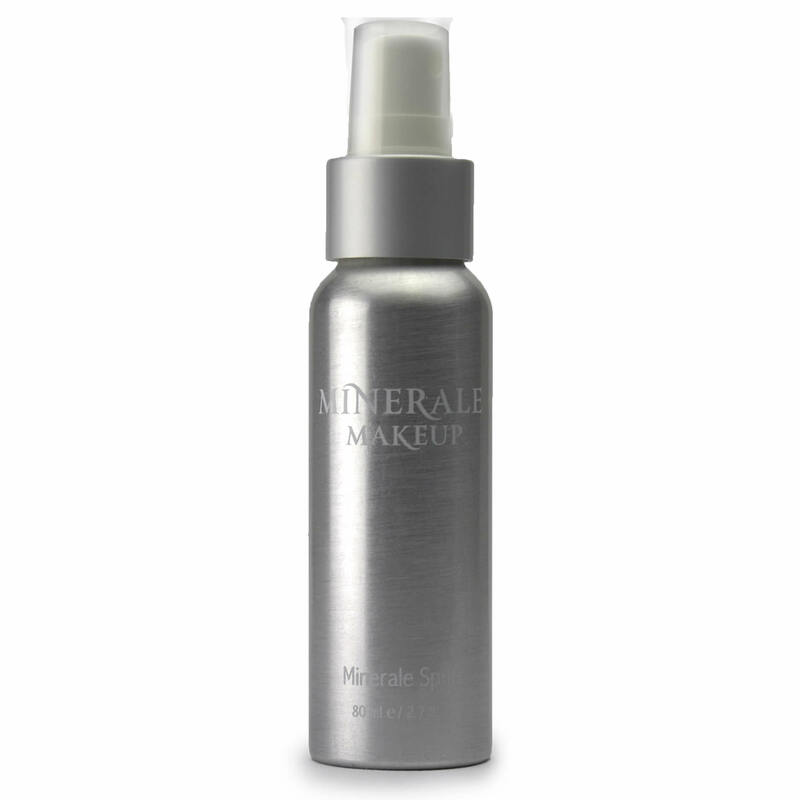 Spray under moisturizer or makeup application for intensified hydration. May be used to set makeup or to refresh during the day. I use this to set my powder in the morning, and then to moisturize throughout the day. The scent is lovely and it keeps me hydrated.